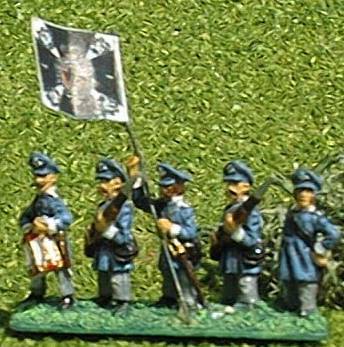 I have based and build my prussians when I was playing Newbury. 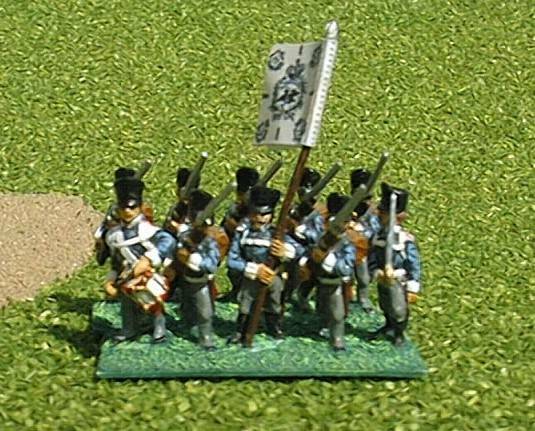 Therefor I have used their basing scheme. 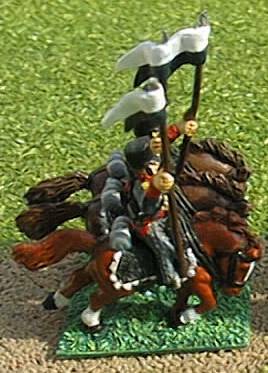 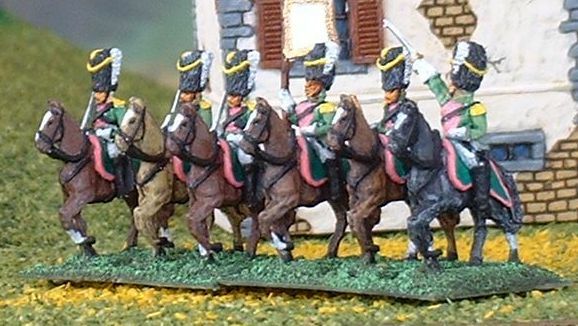 For CC I use two stands of 4/5 infantry in line as one battalion and two stands of 3 cavalry figures as regiment. 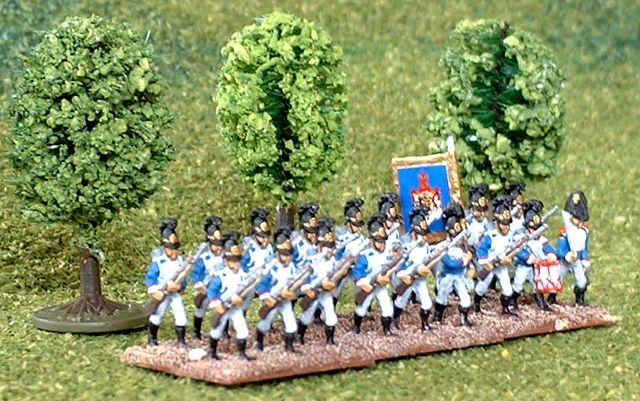 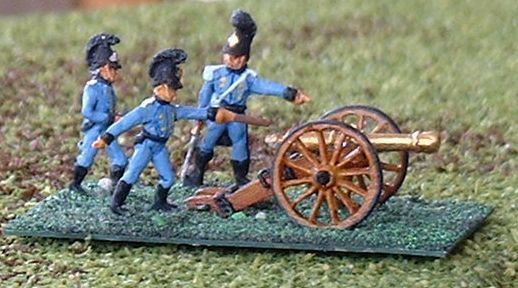 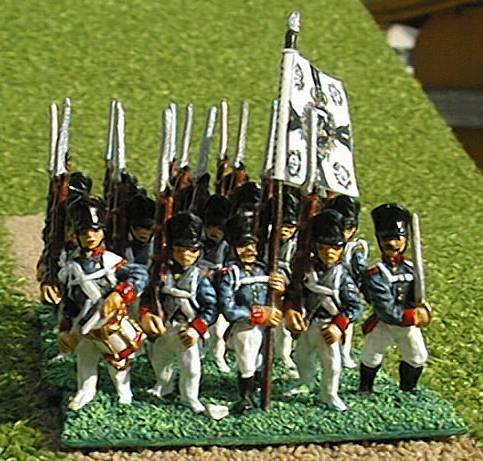 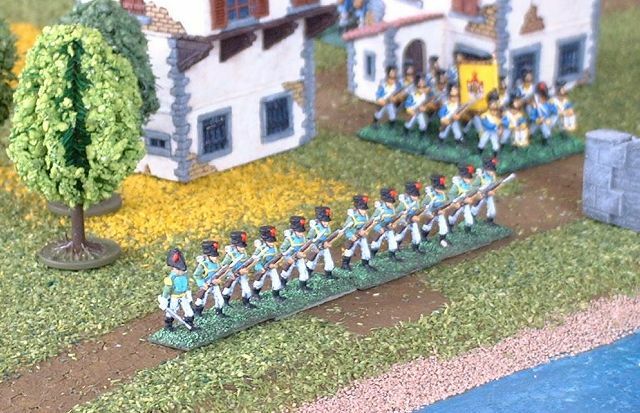 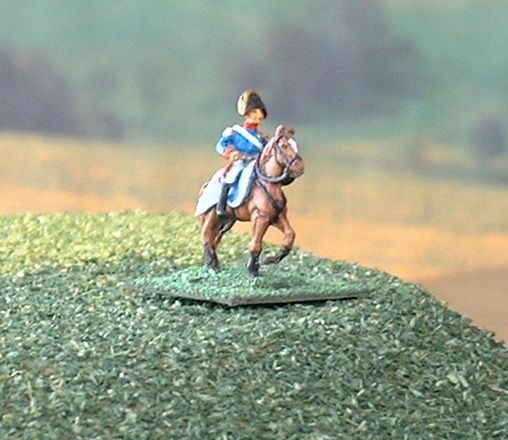 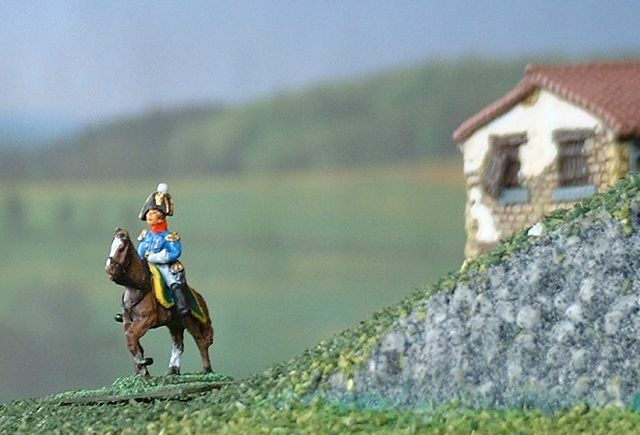 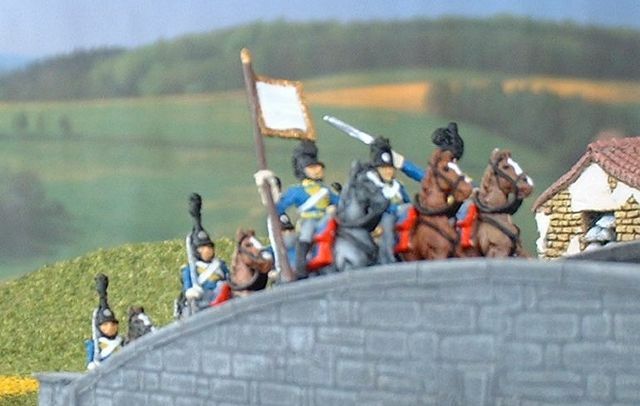 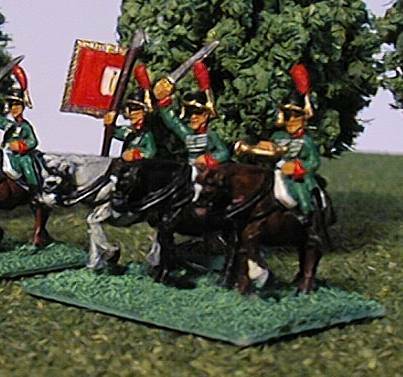 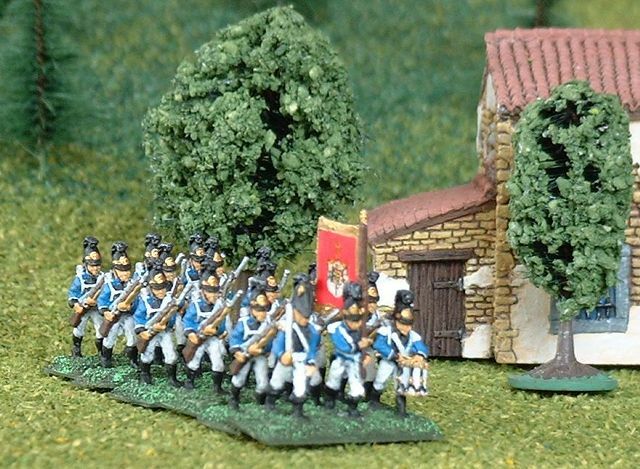 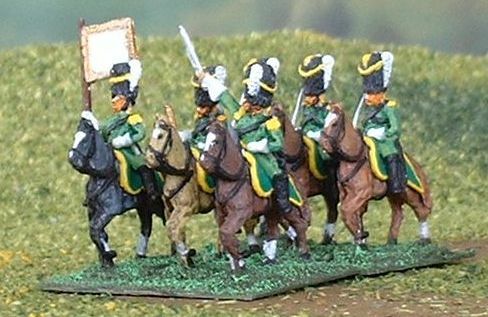 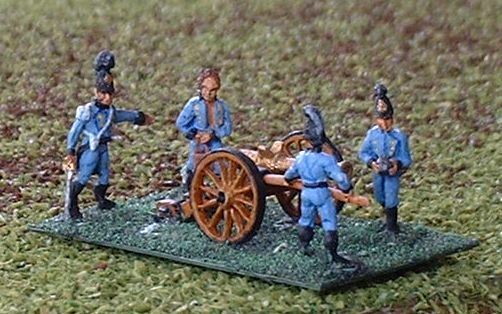 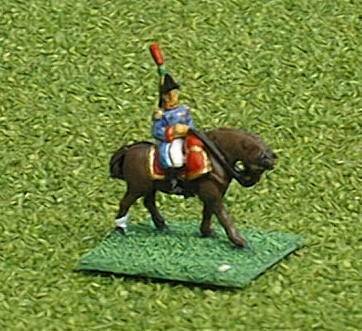 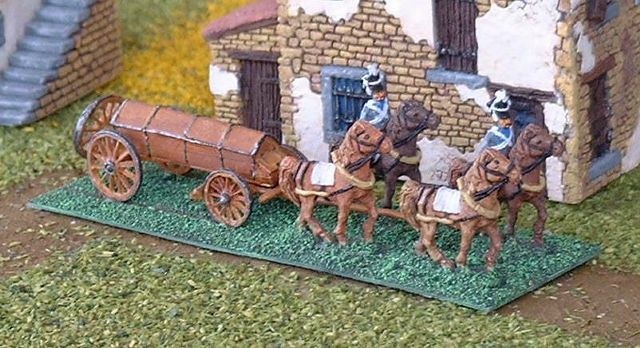 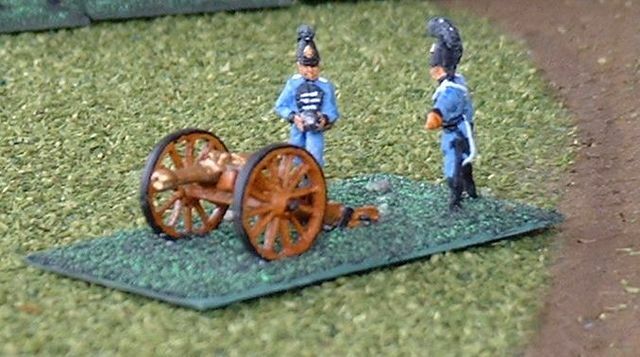 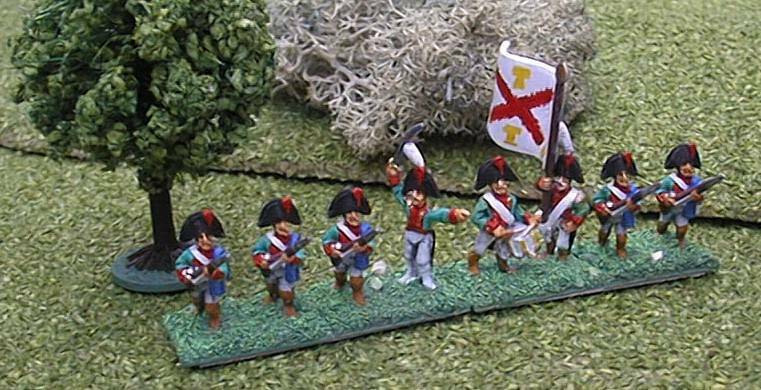 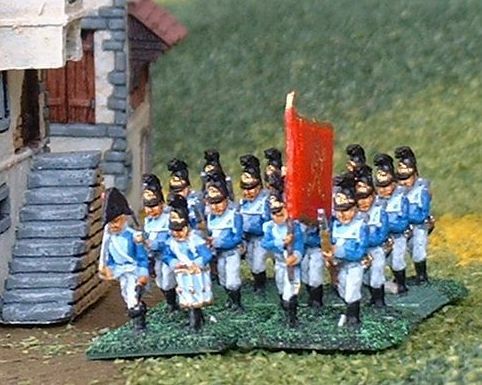 At the time I started painting and basing the spanish ones, I still played Newbury and Napoleons War, but at that time it was clear that I will change the rules system. 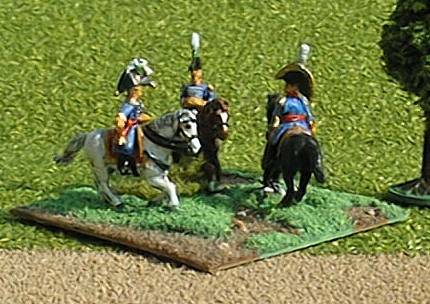 I played with the idea of using Napoleons Battle but that basing was not compatible with the current system so I based them 2 figures in line and glued two of these on a second base so that I got 4 inf in line. 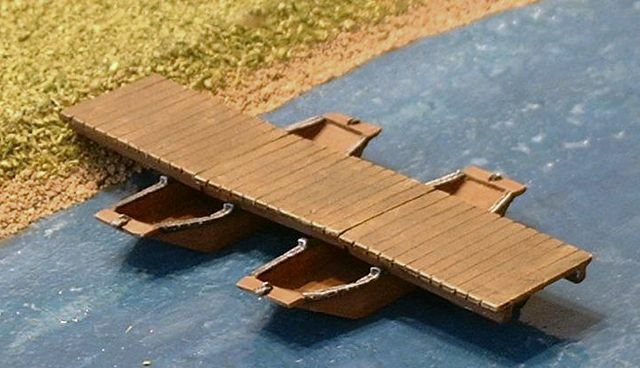 The advantage is that I can rebase them easily into a 2 by 2 block. 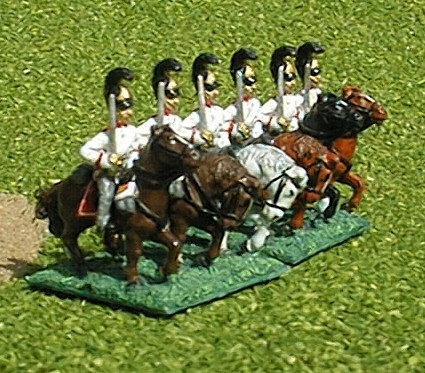 But now as I think that I will stay with CC, 4 in line is OK. 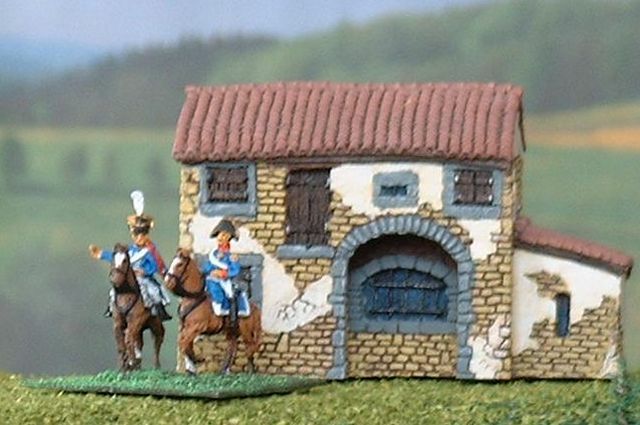 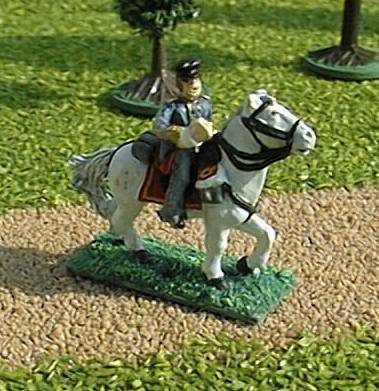 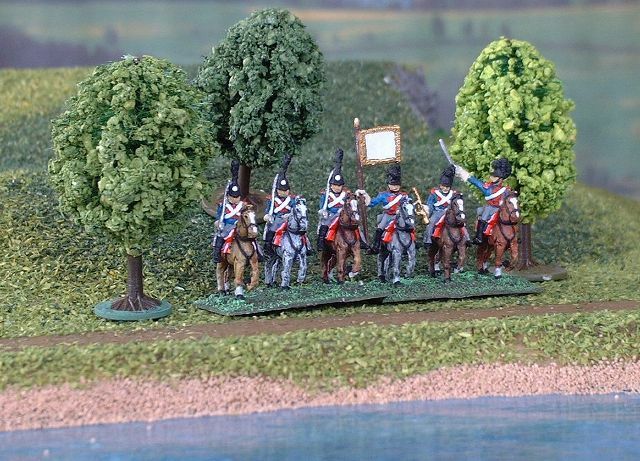 So I have ordered the figures from Jacobite und currently await the shipment. 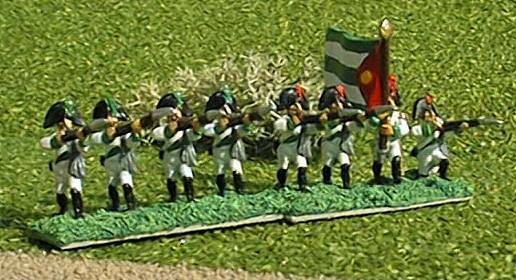 The one thing I am missing with gaming in the napoleonic era are gimmicks. 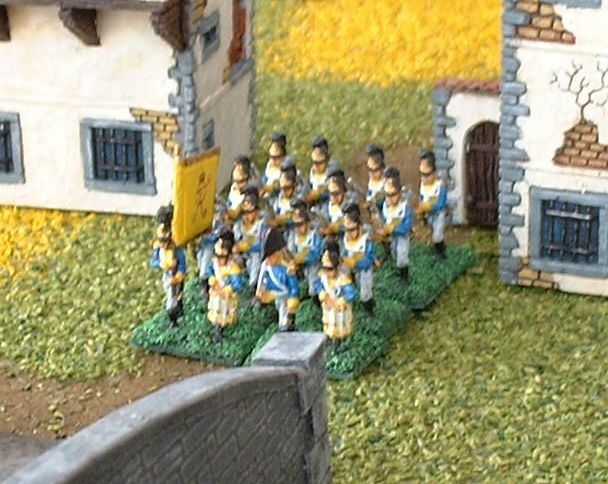 In this case I envy my colleges at the club who play WW2. 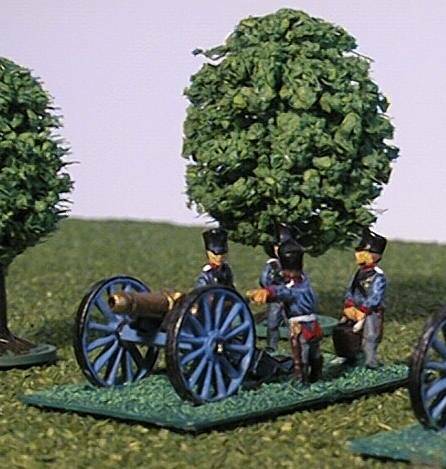 There are literally hundreds of special troops, item, cases, ruins and other funny things to place on the terrain. 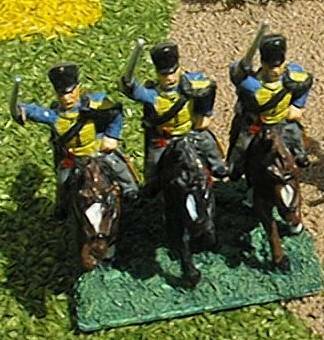 But I have at least some of those things. 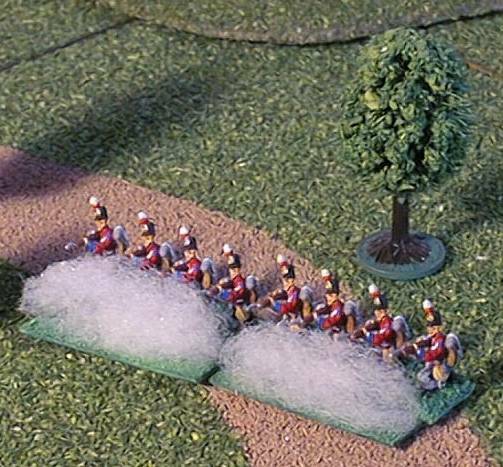 The smoke counters I use to mark that this unit is in a firefight. 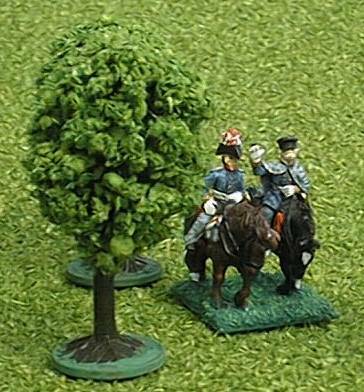 This is a quite important rule feature in Corp Command. 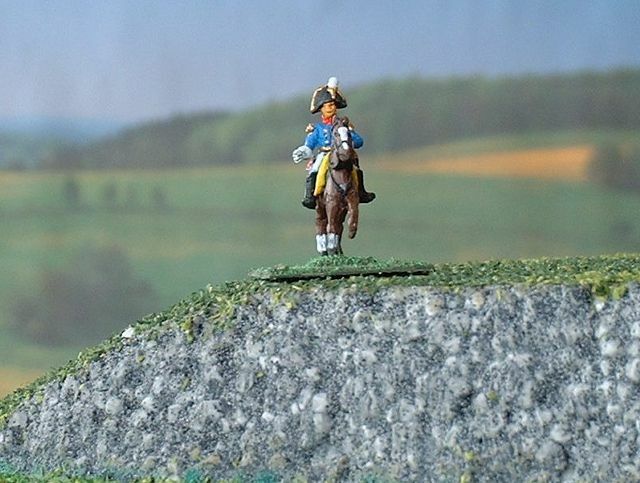 This smoke bases not only mark this quite well but make also for a nice look on the battlefield.